C.A.P: "I like someone who’s charming, has their very own personality and also someone who likes rap." Chunji: "I like someone who has a long straight hair and double eyelid." L.Joe: "I like someone who’s cute and acts cute a lot." Niel: "I like someone who’s nice and good-tempered." Ricky: "I like someone who acts cute a lot and someone who will understands me." Changjo: "My ideal-type is someone who acts cute alot and cute in appearance. I also like someone who looks pretty when they smile." Naww some people might find Chunji's description offensive if they don't have double eye lids. I do but my love is L.Joe. I can act cute and i think I'm cute XD Wait for me baby! Anyway,I liked to acted cute.Haha ! Liked a childish one! Anyway,Chunji,I've double eyelids and L.joe I acted cute a lots and cute if you noticed it. >_______________< I just loved both of you! And if only both of you are in front of me,I don't know who I will choose because both of you're so HOT! and HANDSOME ! i loved you Chunji and L.Joe and all teen Top members ! Saranghae! Chunji!!! I have double eyelids and long straight hair! Wait for me! yes!i have a long straight hair!! !and i have a double eyelids!! !Chunji oppa,pick me!!!! Yes!I have long straight hair and double eyelids! !well,not the surgery one,ok?Chunji oppa,please pick me!!!!! I have noo idea what these boys want bcus they are just looking for cute pretty girls who have charisma. 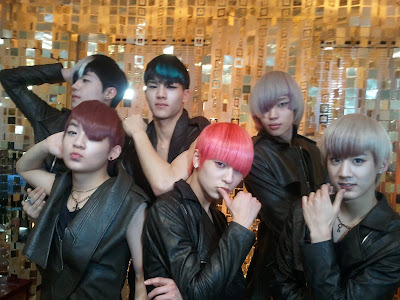 But are they good enough for teen top??? I know I'm not good enough. I am not even cute or pretty and i dont have charisma and personality TT.TT so i'm not rite for them :( thank u hyungs for appreciating every other girl that likes u because they are cute and pretty. It's meant to be that we never be together... L.Joe. 0////0 so I will not cry out loud, but in my heart. I like C.A.P's the best. Omo. I've heard that I have a very interesting and unique personality... And I rap like all the time! OMO. C.A.P oppa~ marry me! <3 idk if I'm charming enough though lmao. Im perfect for changjo good cu i love you !!!! Omo L.Joe just decribed me! I love him so much!! chunji oppa!! i wanna be your girl! i <3 you!!! by the way im born in october 2 and its close to your birthday...........hope you like cute coz in my school im the cutest one! How about that L.joe? LOL..